EMS specialist DigiProces operates factories on two continents, and is an experienced user of the XJDeveloper and XJRunner systems in test engineering and production. XJTAG enhances test coverage and productivity, and comes with a high level of technical support that helps DigiProces deliver large projects within short turnaround times. 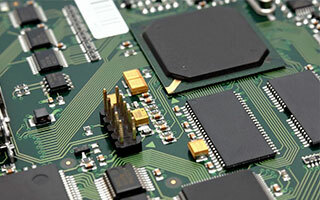 With customers in numerous sectors including industrial, communications, medical and lighting, both factories are engaged in medium-volume, high-mix assembly of items like main processing boards for industrial controls, medical devices, elevator controllers, gaming machines and various other types of equipment. To keep test-cycle times low and ensure flexibility, DigiProces has created a custom test platform that combines automated functional testing with XJTAG boundary scan test and in-system device programming. Since DigiProces has factories on two continents, its engineers value XJTAG’s ability to deliver a high level of technical support to clients wherever they may be in the world. “After-sales support, including training materials, is of a very high quality, and we can always rely on the help we need especially when challenged with large projects and short turnaround times. We have been working with XJTAG for over five years, and have enjoyed a level of service that consistently exceeds our expectations,” comments Jordi Batet. DigiProces is using XJDeveloper for test development, and has deployed the XJRunner system for production testing at its Spanish and Indian factories. XJRunner provides an economical means of replicating boundary scan test on multiple assembly lines. It has a simple Run/Stop, Pass/Fail interface, and has safeguards to prevent tests being altered in the production environment. DigiProces’ expertise with XJRunner and XJDeveloper has enabled the company to become an XJTAG EMS developer, capable of providing bespoke development testing services as well as run-time testing services for customers. Jordi Batet sums up, “Together, XJDeveloper and XJRunner cover perfectly all our testing needs for medium-volume high-mix EMS production at an affordable cost”. Augmenting our functional test system using XJTAG has enabled us to maximise fault coverage and diagnostics, while at the same time reducing overall cycle time by more than 60%. After-sales support, including training materials, is of a very high quality. We have enjoyed a level of service that consistently exceeds our expectations. Easy access to the large number of ready-to-use device-level tests available at xjtag.com is one of the most important advantages of XJTAG. The library is quickly updated as manufacturers release new components, which gives us extra confidence when using the latest device technologies. International EMS business DigiProces has factories in Spain and India, offering services that span the product lifecycle from design and development to pre-certification services and testing, repair and warranty support. The company focuses on maintaining consistently high quality and productivity, while retaining flexibility to respond quickly to changes in technology and customers’ demands.